This Saturday, April 2, is Park Day at historic Fort Morgan in Fort Morgan, Alabama. The annual event is sponsored by the Civil War Trust, and offers a hands-on preservation event for volunteers that want to lend a helping hand. Since 1996, the Civil War Trust has been holding Park Day to help maintain Civil War – and now Revolutionary War – battlefields and historic sites. Activities range from raking leaves to painting signs, and everyone is welcome, so come on down! Fort Morgan is located at the western tip of the Fort Morgan Peninsula, about twenty-two miles down Highway 180. Construction on the fort began in 1819 and was completed in 1834. Fort Morgan was named to honor Revolutionary War hero General Daniel Morgan. It saw action during the War Between The States, and is the site of the famous, “Damn the torpedoes! Full speed ahead!” naval battle, when Union Admiral David Farragut broke through the Confederate lines and entered Mobile Bay. Today, visitors can see a re-enactment of this famous battle almost every August. Volunteers are asked to meet at 8:00 a.m. at the fort’s museum. The event will last until 4:00 p.m., and drinks will be provided, but participants are asked to bring a lunch. No tools are needed, and no admission will be charged for volunteers. For more information on the event or to volunteer, call Mike at (251) 540-5257, or email him at mikebaile@fort-morgan.org. 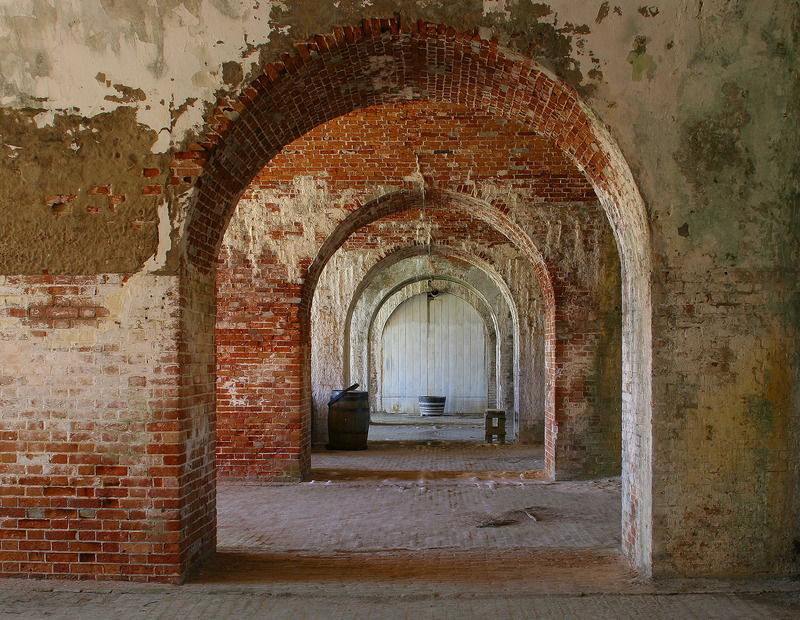 For more information on historic Fort Morgan, visit their website, fort-morgan.org. So, if you don’t have any plans on Saturday (or even if you do – cancel them! ), come out and support this very worthy cause. Preserving our history for future generations to enjoy is something from which we all can benefit. You’ll certainly enjoy what’s lining up to be a beautiful day. And remember, you can live here, too!